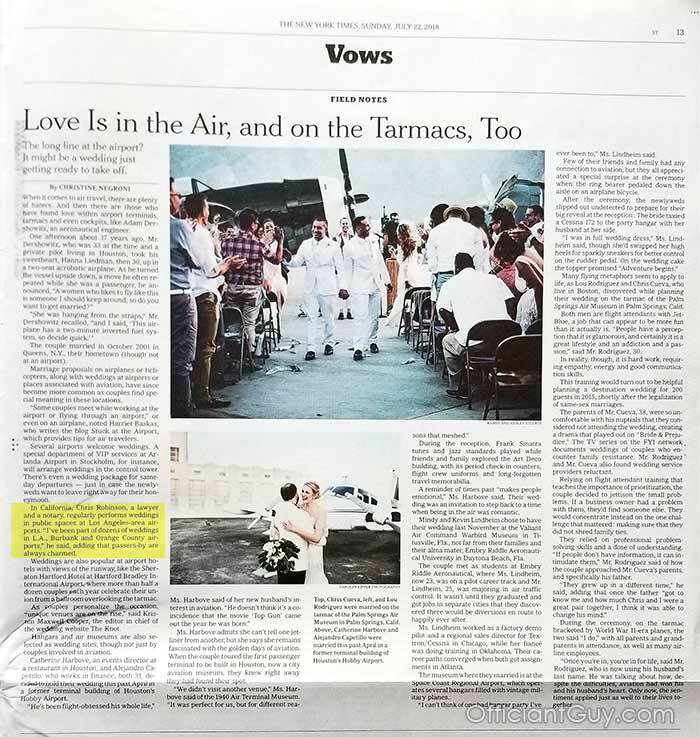 Chris, one of the top officiants for airport weddings, was interviewed by New York Times reporter Christine Negroni about his wedding service for airport weddings. Interestingly, the day the story published, he married a couple who flew into LAX for an airport wedding. Chris has been an airport wedding officiant many times before and was featured a decade ago in an USA Today article about performing airport marriages. The article discusses those weddings in airports, marriage proposals at airports, formal weddings at airports, etc. In California, Chris Robinson, a lawyer and a notary, regularly performs weddings in public spaces at Los Angeles-area airports. “I’ve been part of dozens of weddings in L.A., Burbank and Orange County airports,” he said, adding that passers-by are always charmed. Chris always has marriage licenses on hand to issue to couples who want to get married in California. When you and your fiancé should love to have a wedding somewhere in California, get in contact with the very best wedding officiant. When you need a hassle-free Los Angeles wedding ceremony, he can help you! Get a hold of this wedding officiant ASAP for your nuptials who can issue you a marriage license and officiate your wedding at (310) 882-5039 or (562) 547-3255 or email here. 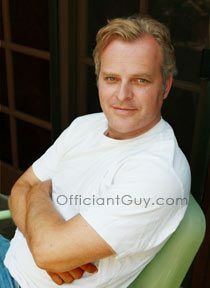 Chris has been a ceremony officiant for over 20 years. 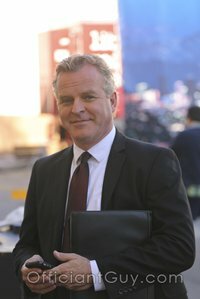 He has made it easier for people from all over the world, and has gained the faith of thousands of couples as he is actually a marriage-license-issuing notary, combined with being a great guy, and a California attorney.